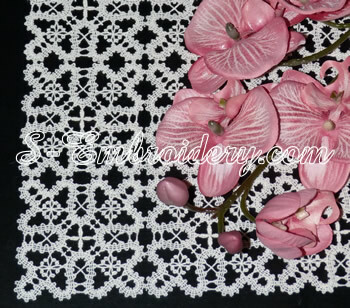 With this freestanding lace machine embroidery design in Battenberg lace technique you can create anything from a small doily to a large table or bed cloth. The design will fit in 4x4 (100x100) hoops. 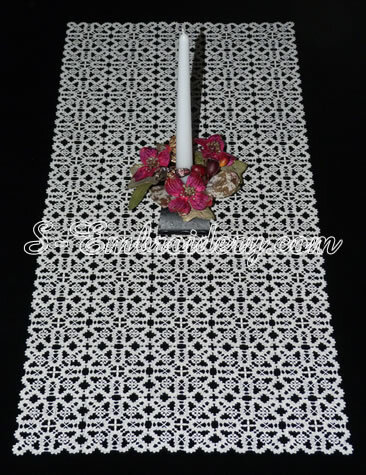 The design comes with instructions for creating the table runner we have featured on our web site.